← What more than Pottermore!? I’ll be honest, after the epic failure of Google Buzz, I didn’t have high hopes when I first heard about Google’s new attempt at a social networking site. 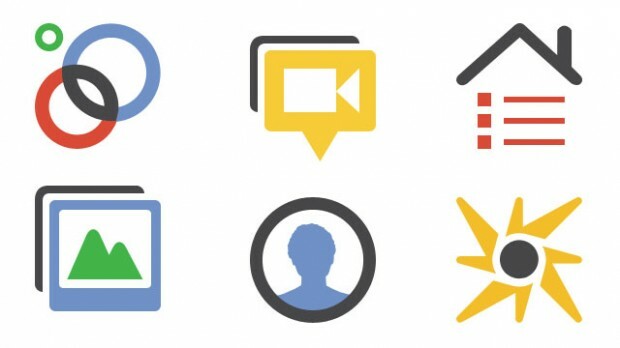 However, Google have been working on the elements for Google+ for a long time – unlike the thoughtless rush to jump on the social media bandwagon which was Buzz. There are the sceptics who feel that ‘Plus’ won’t add anything new to the world of SNSs, who believe that the platforms they use are enough (or too much) already. Who needs another Facebook/Twitter/Linkedin and the rest…? Well, don’t knock it ‘til you’ve tried it! Google+ has the potential to replace all of these social networks, pulling together the much-loved news feed of Facebook, the real-time updates of Twitter, the networking approach of LinkedIn and many snazzy new features! But can we really see people ditching Facebook, especially those who have only just been tempted there. After hearing and reading more and more about Google’s new venture into the world of SNSs I became more and more interested and almost desperate for an invite. Luckily, it wasn’t long until one of my Twitter acquaintances (Twacquaintances?) managed to share a message with me from Google+ containing that golden ticket – a link to join the back of the growing Google+ train! The ‘by invitation only’ slow roll-out approach is perhaps a bit ‘old school’, and frustrating for those who want to get stuck in straight away – I feel that it might put people off joining if they are unable to straight away, which is disappointing. A social networking site only works if there are enough people active to network socially with each other! On the other hand, it seems to be working pretty well at creating a buzz (no pun intended) for them. People were and are asking around existing social networks in order to receive invites to join – myself included. When the tables turned and I held the key for others to join, my @mention stream & DMs were going crazy with people after a way in! As long as it isn’t too long until the doors are opened to everyone, this could work well with keeping people excited as waves of new members become active. Because of the limitations to signing up, the word that sticks out to me is ‘potential’. Google+ has the potential to be huge. The features on it are great, and there are loads. If there’s one thing that separates this platform to anything else, it’s the ability and ease to choose which circles you share different things with different people. This means that you can easily keep your work and play separate on the same site. The +1 button which is beginning to appear all over the web works much like an external Facebook ‘like’ button and is great for recommending webpages and articles with Google+ as a hub. By clicking the +1 next to search results, for example, it creates a list of pages you recommend on your Google+ profile (demonstrated here). This is probably the key feature that I have picked up as having potential for usefulness for brands and marketers, for the time being, anyway. While my overall initial opinion of Google+ is positive, it’s difficult to enjoy it to its full advantage until a decent amount of people in my social circles join it…. so I can add them to my virtual Google circles and start sharing links, photos, videos – sharing the experience with them. When Google opens the floodgates for all, I hope that many people will join and make Google+ the great network it has the potential to be! Posted in social media and tagged Cre8ive Wisdom, Facebook, Google, Google Buzz, Google+. Google plus, SNSs, social media. Bookmark the permalink.